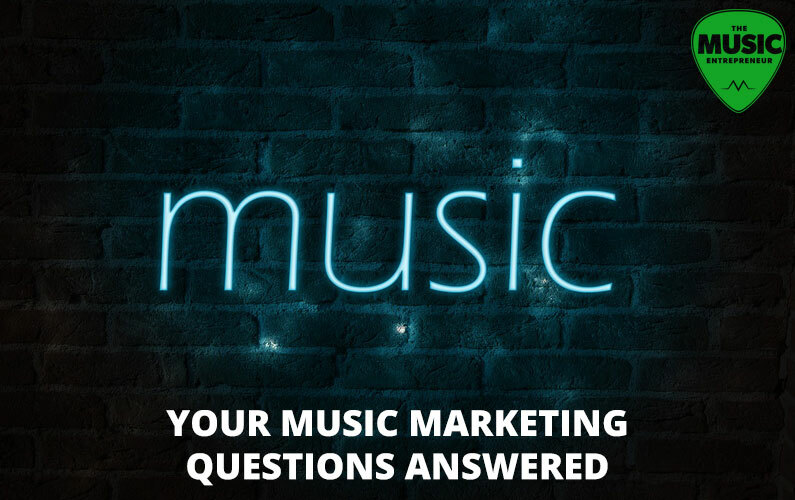 Music marketing is an expansive world, and many of you have questions connected to it. In this post, you will find my answers to a variety of questions, and links to posts I’ve already published on the topic. If you have other questions you need answered, feel free to leave them in the comments below. I am planning a part two for this series. So, let’s get to those questions. 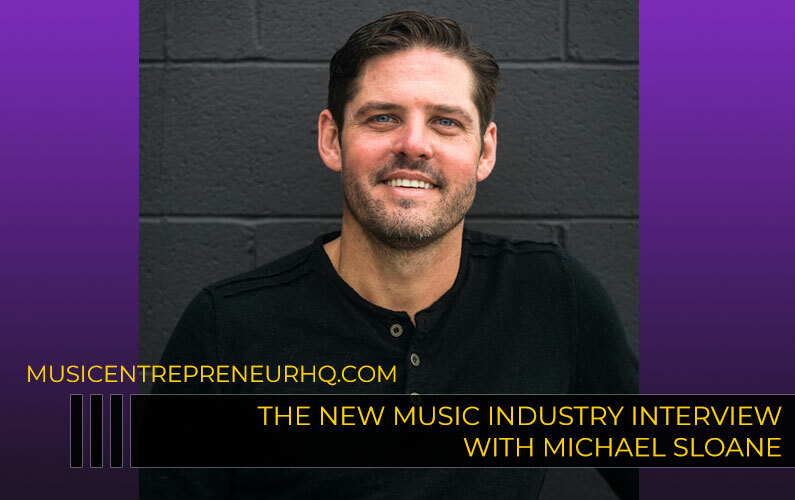 How has music marketing changed? I wrote an in-depth post on the topic titled How Has Music Marketing Changed in the Internet Age? Online sales and e-commerce did not exist. You couldn’t build and publish websites. You couldn’t connect with your fans using email marketing. Social networks did not exist. Video sharing sites like YouTube had yet to emerge. You couldn’t easily crowdfund at a global scale. To add a little more, innovative marketers are constantly adapting to the shifting online landscape. Keeping up with search engine optimization (or SEO), for instance, is practically a full-time job. But only the most forward-thinking marketers are testing and experimenting with cutting-edge online strategies. 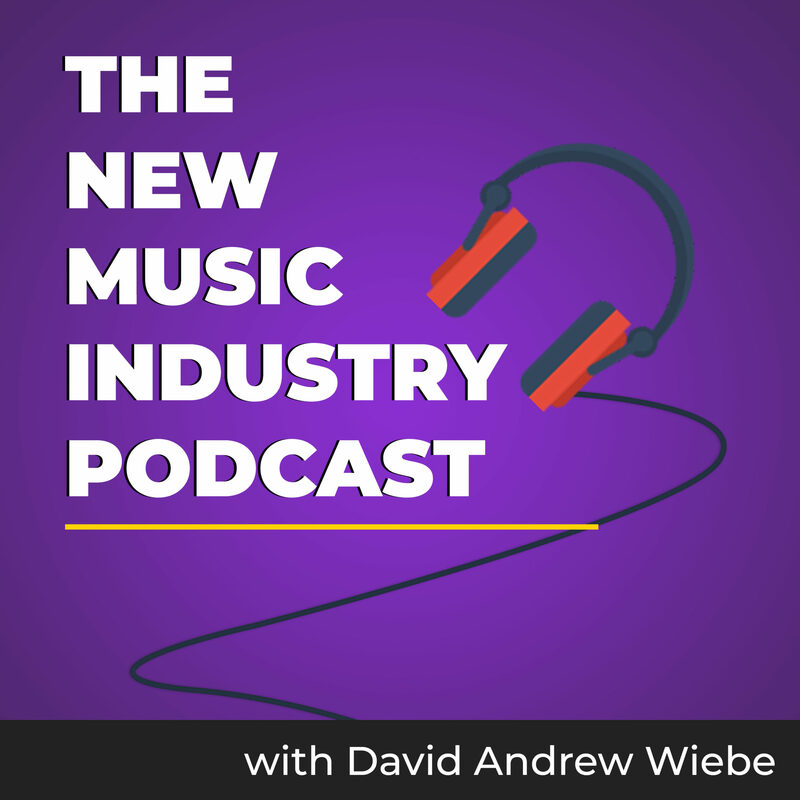 Music marketing hasn’t changed much with major labels at all, besides the online component, but they aren’t utilizing it very well. How does music marketing work? I’ve written an introduction to the topic. Have a look at: What is Music Marketing? No two strategies are exactly alike, but major labels tend to bombard traditional media (like TV, radio, magazines, and newspapers) with ads. They also use music videos and live performances to monetize and promote their artists. Independents aren’t much different, but they typically have restrictions labels do not, specifically in terms of financial and personnel resources. So, they will take fuller advantage of more low-cost methods like social media, blogging, email, in addition to other methods already mentioned. Marketing is essentially the same across every industry. What’s unique about music (and digital products in general) is that it isn’t a consumable product. People don’t just buy one tube of toothpaste. Once they use it up, they buy more of it. Meanwhile, you can’t use up music. Once purchased, you can listen to it as many times as you want. Or, you can even go to a streaming site and stream it as many times as you want (sometimes without a subscription). Another great way to look at it is Andrew Dubber’s simple formula Hear / Like / Buy. People must hear a song to become aware of it. But just because they are aware of it doesn’t mean they necessarily like it. It may take multiple listens. And, maybe if they hear it enough times, they’ll start to like it. If they like it, their chances of buying are much greater. So, people must first hear the music to get to the point where they like it, at which point they may choose to support the artist. How does music affect marketing? Musicians tend to be on the cutting-edge of marketing, constantly experimenting with the latest social media platforms and technology that comes along. I recorded a podcast about a book called Blockchain Revolution. 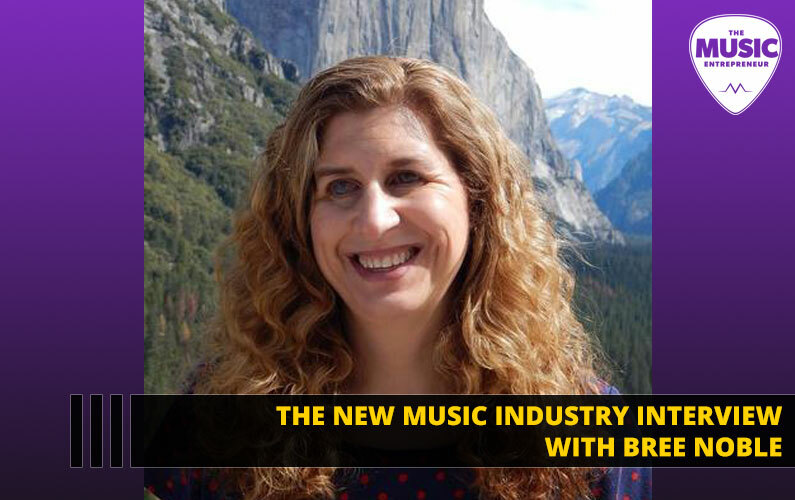 The authors contend that musicians tend to reveal how people will adopt technology and make it a part of their lives, faster than any other industry. Some people seem to think that musicians are behind the times. But it’s not musicians, it’s labels that haven’t fully embraced the digital age. Essentially, musicians keep driving marketing forward. They are often early adopters of new methods, platforms, and technology. How can I market my music? You can utilize many or all the methods already mentioned in this post. But there isn’t a catch-all answer. You must consider what your goals are, who your target audience is, what your strengths and weaknesses are, and more. How much does music marketing cost? Marketing and PR is something I’ve dedicated myself to studying for years, and I’m even starting to take on some clients. The short answer is that it varies a lot. Some artists want to raise funds for their albums. Others want to get on niche radio stations. Still others want to get press exposure. How could there possibly be a one-size-fits-all solution? Virtually every campaign is unique in some way. Even a crowdfunding campaign can vary in scope because different artists want to raise different amounts of money. A simple brand-building campaign could easily cost $500 to $1,000 or more depending on your objectives, the length of the campaign, advertising costs, content creation (i.e. video shooting and editing), and a variety of other factors. Music marketing can cost a lot. But my advice would be to work with individuals and companies that focus on getting you results. If they charge for a bunch of work, and they can’t even show you what they’ve done, or how it has led to new opportunities for you, then their services may not be worth your hard-earned money. How can I get into music marketing? The first place most people look is school, and many colleges and universities have marketing, PR, and journalism courses, as well as other relevant programs that can help you find your footing in these fields. Self-directed education is still my poison of choice, because theory knowledge will only get you so far, and you need real-life experience. Unless your professors happen to be in marketing, PR, or journalism, they honestly have no clue how it works in the real world. Admittedly, it can take time to find the right sources and information, but there are so many terrific blogs, podcasts, books, and courses available, I don’t see why anyone should pay such a high price tag for a paper on the wall. Plus, you can find content that’s more tailored to your exact needs online. You might pay a little, but it will be far less than tuition. 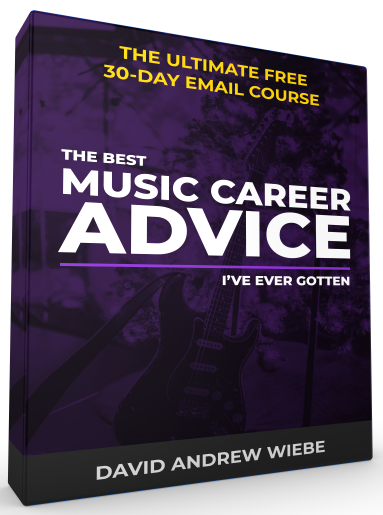 Pragmatically speaking, you’re probably not going to be hired on by a major label, even with years of education and experience. There are many reasons for this (also see the next question). So, your best bet is to market music independently as a freelancer, start your own business, or find an independent label to work with. 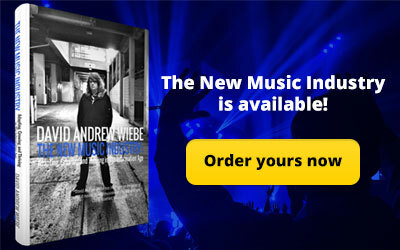 Everyone needs marketing, and there aren’t many forward-thinking people in the “inside circle” of the music industry. 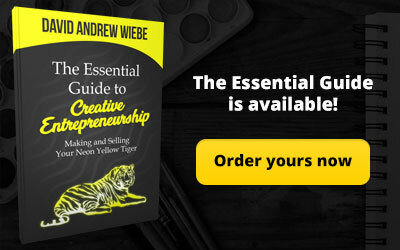 I believe you’ll be of the greatest value to people if you can develop your expertise in SEO, email marketing, social media, content marketing, advertising, and other emerging strategies. You will be in demand if you position yourself correctly. How do I become a music marketing manager? As I’ve already noted, getting hired on at a major label may be difficult. There are a limited number of major labels (three to be exact). Labels aren’t always marketing artists. Sometimes, they cut deals where the artist is responsible for most of the marketing. Labels aren’t necessarily looking to spend more money than they need to. Labels aren’t entirely onboard with the digital age and are heavily reliant on traditional media. I would suggest setting your sights on smaller labels or independent labels if your dream is to become a music marketing manager. From there, you may be able to build up to better opportunities. I’m not saying there aren’t any jobs out there, and if you can find one, great. But I’m more of a business guy myself, which is why I would look at (and in fact have looked at) starting my own company. 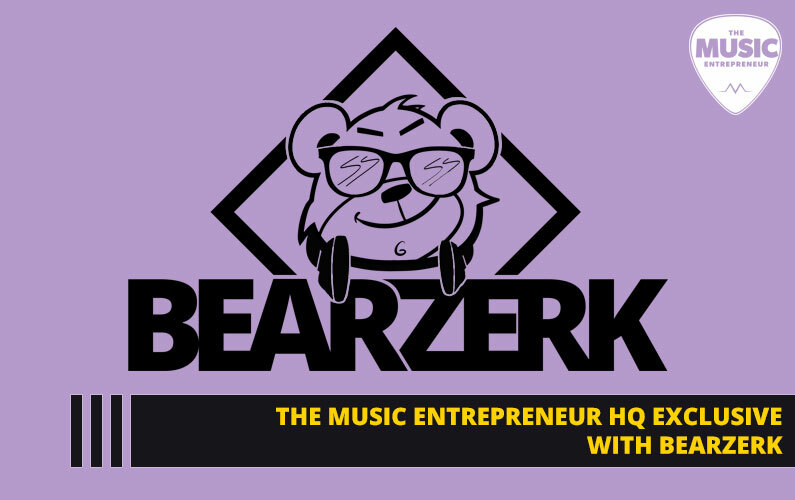 How do I start a music marketing company? Starting a company isn’t that difficult. You can declare sole proprietorship or partnership at the local registry office. When you’re a sole proprietor or in a partnership, there typically aren’t any tax implications. At some point, you’ll probably want to upgrade to a limited liability company (LLC) or equivalent, but depending on the situation, there may be other suitable options. Your target audience. For instance, are you thinking about selling your music marketing services directly to musicians? If so, you need to be thinking about pricing, as independent musicians don’t necessarily have a lot of money to spend. Your services. What exactly are you going to do for your clients? What is the result you’re going to help them achieve? Your marketing. How will you promote your business? What strategies and tactics will you use? How will you position and differentiate your brand in the market? 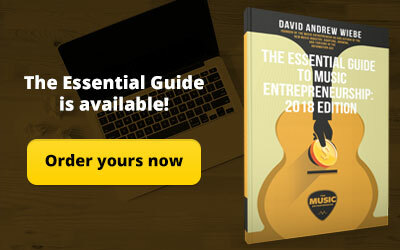 Note: Although I am in the music entrepreneur space, I don’t know everything there is to know about registering and setting up a business (even having done it multiple times). I would recommend finding out as much as you can before you get into it. Talk to other business owners, lawyers, or knowledgeable experts to get a better handle on how to get your business set up. How do I make or write a music marketing plan? 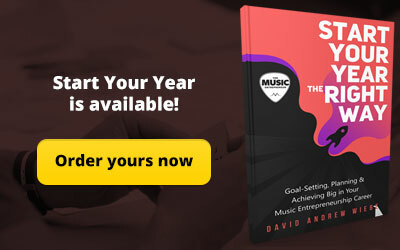 I would suggest having a look at the posts, How to Create Your Own Music Marketing Blueprint, and 7 Steps You Can Take to Build a Successful Music Marketing Campaign. Basically, the first thing you need to do is think about what you’re trying to accomplish. Then, you need to make a plan for how you’re going to achieve your goals. 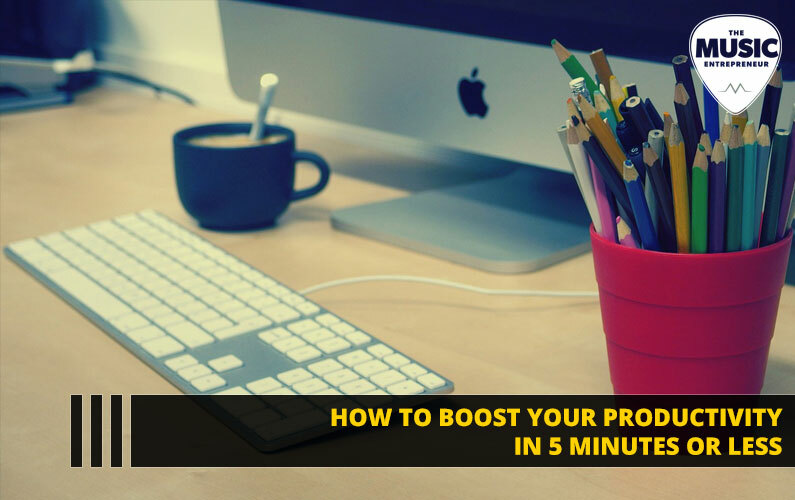 See the result in your mind, and then break down the steps you’ll need to take to get there into small, actionable chunks. There are a lot of other moving variables in between, such as what social networks to use, whether to blog or not, what type of advertising to put your money into, and so on. But getting clear on your goals helps you determine what steps to take and what methods to utilize in your marketing. That’s why I would encourage you to start there. How is music used in marketing? Music is everywhere. It’s in the malls, it’s in YouTube videos, it’s on the radio, it’s in movies and TV shows, it’s in commercials, and it’s also pumped through the speakers at various live events. Music is also used in radio advertising, podcasting, and other audio-based channels. Music is often a complement to various ads, both auditory and visual. If you’re watching something, and it’s designed to sell anything, there’s a good chance it uses music. But even media that isn’t used to sell often contains music because it evokes certain moods and emotions (think of a slideshow at a wedding). Sometimes, the music itself is also promoting certain products or brands, even behaviors or philosophical and religious views. But most companies and brands are looking to match up the right music to their target demographic. They choose music that complements their message, but the music may not be the message in and of itself. If there’s anything I’ve learned about music marketing, it’s that you can’t execute at a high level without the right resources. You need specific and measurable goals, a strategy for achieving those goals, tools for automating processes, and a system for executing your plan. If possible, you should also work together with a team. If for some reason you can’t, or you don’t have one, then you better have a lot of spare time to commit to it. Many companies and individuals are beginning to recognize the importance of ongoing marketing, and not just a one-off campaign. The backbone of today’s marketing is serial content – content that entertains, inspires, and engages people, and continues to come out week after week or month after month. What do you think? Did I miss anything? Do you have any other questions connected to music marketing?